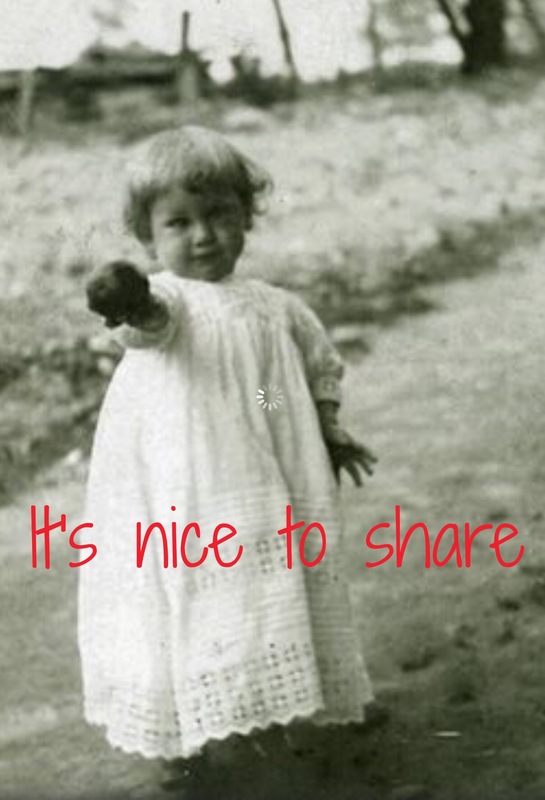 I often hear about the generosity of genealogists: the way they freely share their time, research skills, and even precious family artifacts and photos with others. 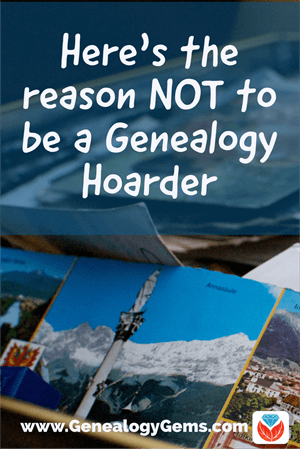 But it’s probably easier than we realize to lapse into the practice of being a “genealogy hoarder:” keeping family history treasures to ourselves. Maybe we’re just a little attached to them or feeling possessive about our family. More likely, we just happen to be in quiet possession of something special that we haven’t thought about sharing—or we haven’t figured out how to best to do it. 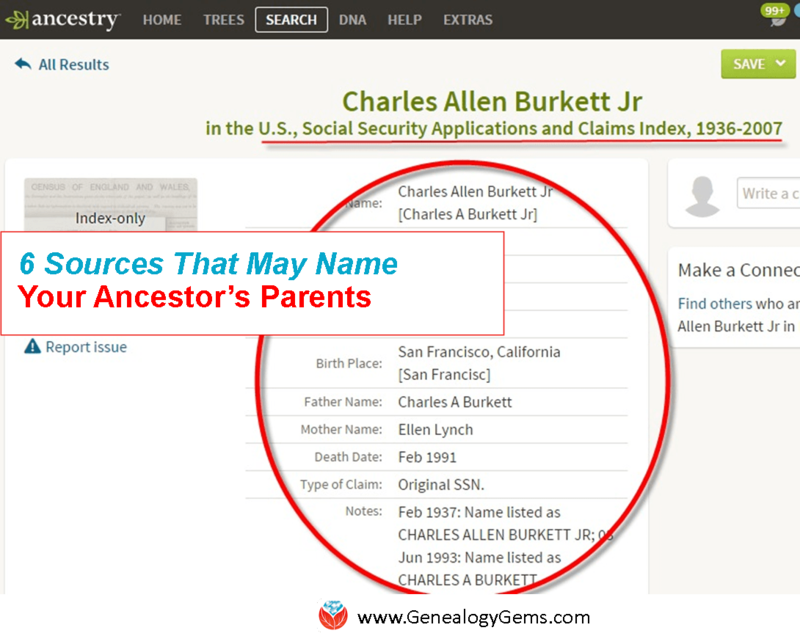 “I recently ran across a funeral booklet in a relative’s ancestry research materials that I could not connect to that relative in any fashion. It was printed professionally in 1944 by the deceased’s husband and contained a photo, complete biography, obituary and portions of the minister’s eulogy. I looked on Ancestry.com to see if anyone was researching the lady and made a connection with a direct descendant. By the time you receive this, I will have mailed it to that individual for their use. I understand he had never seen a photo of this particular relative. I have been the recipient of others’ selfless research and efforts, so I try to digitize, share and move information along to others. When I reach the place where I don’t personally need to store some items, I donate them to the appropriate place or individual for further maintenance. I couldn’t agree more with Roland’s sentiments about not falling into the hoarding trap. We all have a chance at some point to make a difference for someone else, and we should embrace it when the opportunity arises! Pat was looking for advice on how to use Ancestry.com to track down descendants so she could return artifacts to them. Click here to read advice I gave her about that. 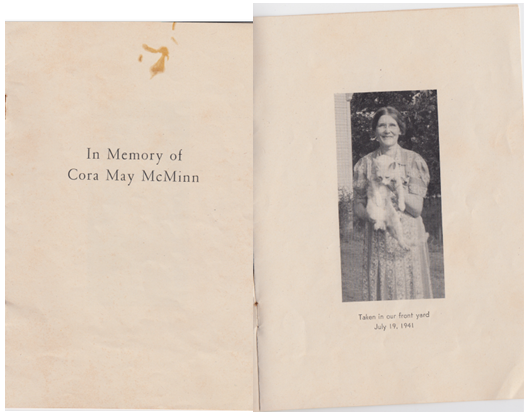 A museum in Texas wanted to tell the stories of the people whose heirlooms they held in their collections. But first, they had to research those heirlooms and the stories behind them. Here’s how they did it. Ready to stop holding on to some items in your own archive? 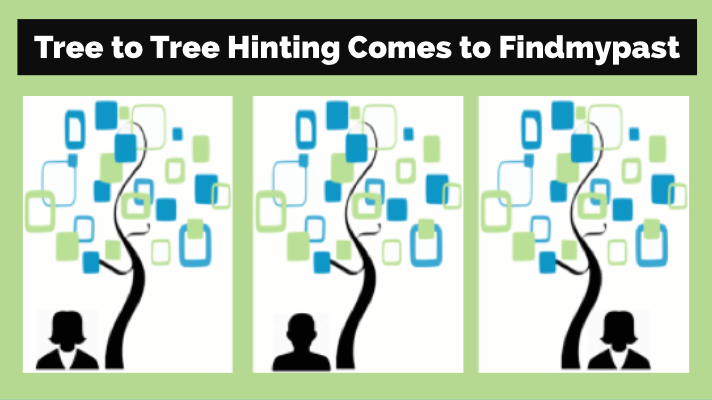 Read this article by The Archive Lady Melissa Barker about “decluttering” your genealogy stash—and meaningful solutions for where to dispose of those items. Thank you for the encouragement on all counts, Roland!